NOTE: Make the dressing in advance and chill before using. Also, defrost frozen corn before arranging salad. Blend all ingredients until smooth in a blender. Add more water if you want the dressing thinner. Chill before using. In a large skillet, warm the beefless ground with your taco seasoning and water. Set aside and let cool slightly. 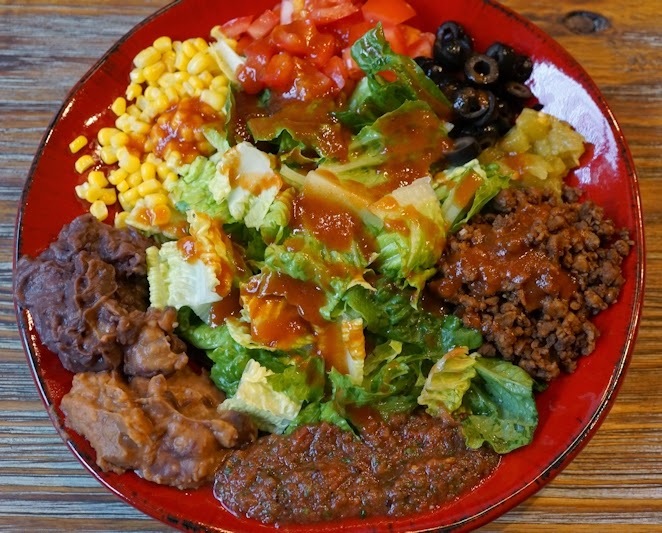 Toss toppings with lettuce and drizzle with the Catalina-style dressing.